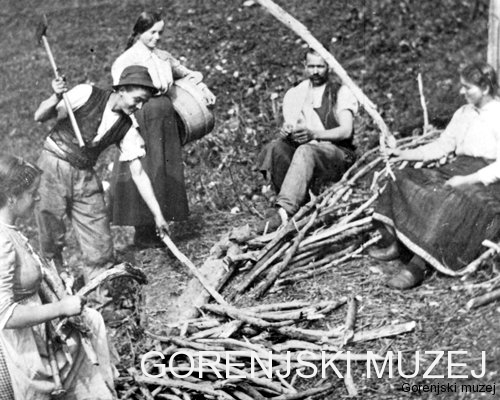 For centuries Bohinj was the biggest Alpine herdsman and dairyman centre in Slovenia and it was in this region that Alpine herdsmanship along with dairy production developed in its most intensive form. From May until the middle of June, the herdsmen took their herds of cattle from the valleys, first to the lower hills, and from there to the higher mountains, choosing the best pastures for their cattle to graze on and later with the onset of autumn they, one-by-one, returned to the valleys. In 1873 an organised cheese-making union was founded, that started producing cheese in the Swiss way. 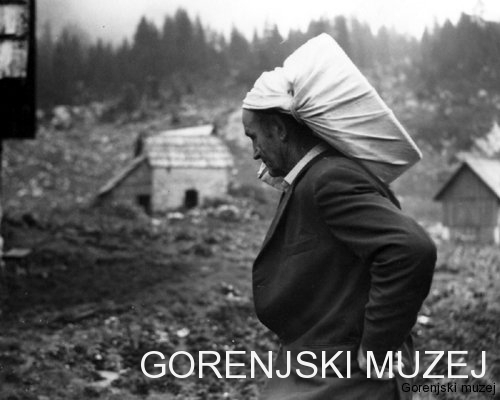 Janez Mesar, the then parish priest of Bohinjska Bistrica, was responsible for this change in production. 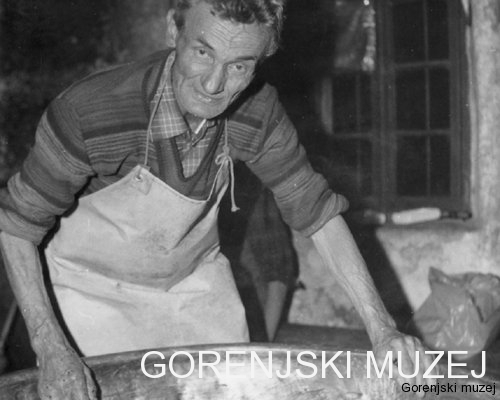 Soon the Bohinj cheese trade flourished, becoming an important income generator for the local population. In the first exhibition area we can see a typical wooden Alpine herdsman’s hut with the furnishings from the Zajamniki Mountain pasture, on the front wall of which we can just barely make out the date 1849. 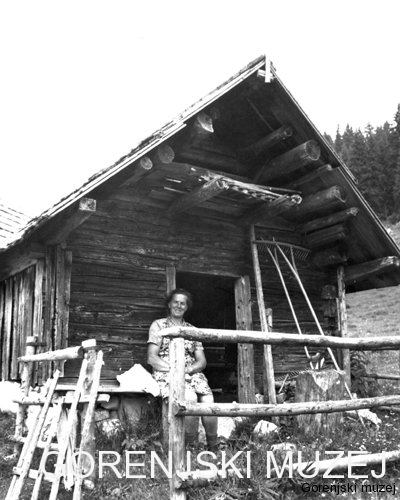 In the last two decades, the hut was also used when the grass was being mowed and the wood cut. In the second area an original cheese-making workshop, with two large built-in kettles for making cheese and a press enabling the cheese to be shaped, is exhibited. 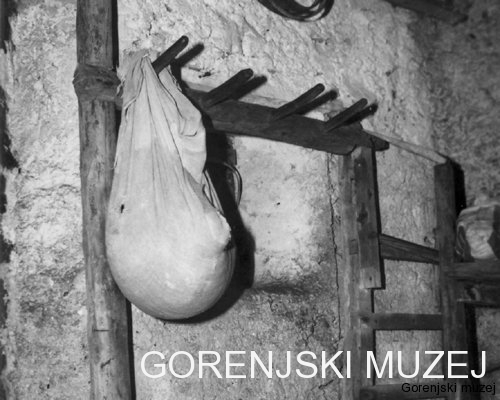 Also there are pieces of the original furnishings of the dairy farms on display here, such as cheese making tools and utensils, milk dishes, butter churns, and so on, as well as a large kettle on a wooden beam that came originally from the dairy farms of the Blato Mountain pasture. In a glass display case a large “Majerska” back-basket with all the utensils the herdsmen would have carried to the mountain every year during the summer months is also displayed. The dairy farms, the cheese making in the mountains, the transport of cheese to the valley, and so forth, is very well illustrated through a photographic exhibition displayed here. At the entrance to the museum there is a cartographic display of the oldest mention of the mountains (with the first as early as the year 973), and, on the opposite side, a graphic card showing the house symbols with which the masters marked their tools and dishes. On a plaque hanging on the wall, there is a portrait of the Bohinj parish priest Janez Mesar, the man responsible for the economic and cultural rebirth of the Bohinj region. 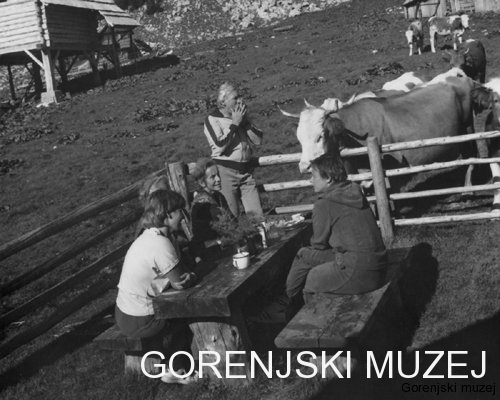 In the third area there is another photographic exhibition, showing a typical Bohinj Alpine dairyman settlement and huts. The huts on the higher mountains, used only when taking the herds to pasture, are typical one-room wooden constructions, with an area where the cattle were kept on the ground floor and an area upstairs for the herdsmen. Experts researching these forms of Alpine herdsmen’s huts have traced elements of the architecture in remotest past. At the entrance to the fourth area there are the oldest renditions of Mt. Triglav, Mt.Velo polje, and an engraving by Barago of a Bohinj Alpine herdsman from the year 1776 hanging on the right, with a portrayal of a typical Bohinj person by the painter Ladislav Benesch (1888) on the left. 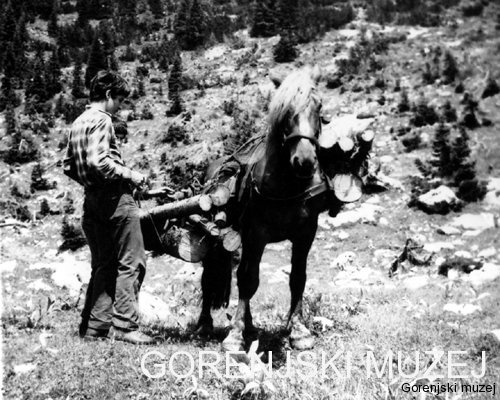 Pictures of numerous Alpine herdsmen, the herdsmen’s migrations into the mountains, a typical herdsman’s working day, what he ate and what he did in his free time, and the Bohinj “cow ball” – a tradition that has become a popular Bohinj tourist event, grown out of the Alpine herdsmen returning from the alpine pastures – are also shown.